This tutorial provides step by step instructions on how to generate a CSR code and install an SSL certificate on Kemp LoadMaster. 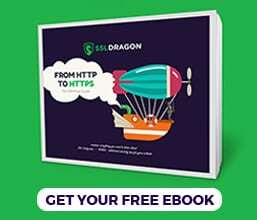 Besides the configuration guidelines, part 3 contains a brief history of Kemp Technologies, while part 4 offers useful tips on where to buy the best SSL Certificate for Kemp LoadMaster. If you’ve already generated the CSR code elsewhere and have received the necessary SSL files, feel free to skip part 1 of this tutorial. Use the links below to jump straight to the installation steps. Where to buy the best SSL Certificate for Kemp LoadMaster? Common Name: enter the FQDN (fully-qualified domain name) you want to secure with an SSL certificate. For instance, yourdomain.com. You can open your CSR file with any text editor and copy the entire text, including the BEGIN and END tags into the corresponding field during your SSL order. The private key file will remain on the Kemp system. After the CA sends the necessary SSL files to your inbox, download the ZIP folder and extract its contents on your device. You should have your primary and intermediate certificates in PEM format (.pem extension) ready for installation. Congratulations, you’ve successfully installed your SSL Certificate on Kemp LoadMaster and assigned it to its IP Virtual Service. After you install an SSL Certificate on Kemp LoadMaster, you should run a quick test and check your new SSL certificate for potential errors and vulnerabilities. We have an entire article on our blog, describing the best SSL tools to scan your SSL installation. Kemp Technologies is an American company operating in the application delivery controller industry. Founded in 2000, Kemp builds load balancing products for physical, virtual and cloud environment. Kemp’s Flagship product is the LoadMaster, a load balancer built on its own proprietary software platform called LMOS. It can run on almost any platform and is available in Azure, AWS, and VMware vCLoud air. LoadMaster software has also a free version which shares most of the premium features. 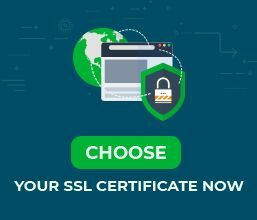 If you don’t know what type of SSL certificate to choose, use our SSL Wizard and Certificate Filter tools. They will recommend the ideal SSL product for your website.